Another common website usability-fail is lack of consistency. The branding, design and organisation should remain the same across the entire site, rather than varying from page to page. An inconsistent layout means that users will struggle to find the information they’re looking for on each page quickly and easily. This is likely to leave them confused and annoyed, not to mention doubting the professionalism of the business itself. Usability can be a particularly important issue for individuals with certain disabilities. 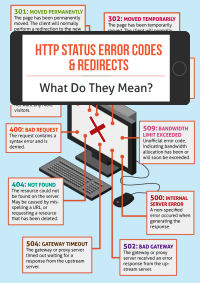 If a website has barriers preventing some clients or customers from accessing or interacting with the site, the business is ignoring a significant portion of the population. Fortunately, there are simple steps every business can take to ensure its website is accessible to everyone – for example, by adding captions to videos for users who are deaf or hard of hearing, or underlining clickable links so that colour blind users can perceive them. These changes might sound complicated at first, but are actually incredibly simple to make, and will significantly improve website usability for large groups of users. Users don’t want to waste time trawling through a business’s website searching for the information they want. If they can’t navigate a site quickly and easily, they’re likely to give up and look elsewhere. While in many cases it pays to be innovative, when it comes to navigation you should stick with convention. Users expect logos to link back to the homepage, clickable links to stand out, and content to be organised into categories. They’ll also want to move quickly and easily between related pages, and for navigation tabs to be clearly visible on every page. Clickable links that work as expected are crucial components for website usability. Nothing makes a user give up on a website faster than a 404 error message arising from a dead link. 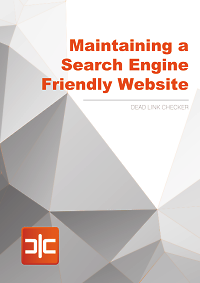 By using a broken link checker, business owners can check their website for dead links. Such tools are free and easy to use, and enable businesses to quickly identify and rectify any broken links that may be impeding website usability. To ensure that users feel their privacy is being respected, businesses should only ask for information that is necessary, and only ask for it once the user has had the time to browse the website and build some level of familiarity and trust with the business. Businesses build websites to communicate with a wide audience. If users can’t find the information they need in the website content, then communication has failed. Unfortunately, clear and relevant website content is a stumbling block for many businesses. Content should be free from spelling errors and grammatical mistakes, and written in language that is appropriate to the audience. It is also important to lay out content in a way that allows users to quickly scan the page – for example, by using short paragraphs and subheadings – so that users can easily find the information they want. As you can see, there are plenty of ways in which website usability can unintentionally be diminished. Luckily, it’s easy to avoid these blunders. With a little forethought and the right tools, any business can improve its website usability. Would you like to improve your business’s website usability? 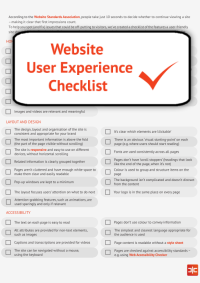 Use Dead Link Checker’s Website User Experience Checklist to ensure your website is as user friendly as possible.